Insomnia is an extremely common sleep disorder that affects one in three people at some point during their lives. Insomnia is characterized by difficulty falling asleep and staying asleep, and can be considered either short-term (acute) or long-term (chronic). 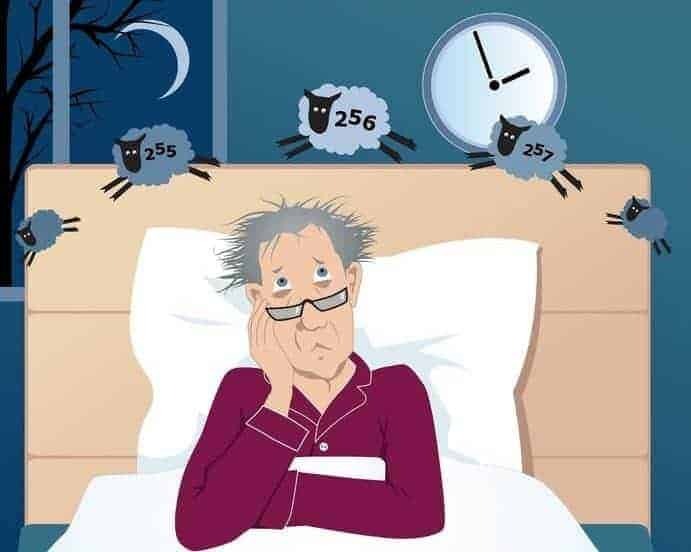 Short-term insomnia lasts for days or weeks and can come about due to stressful life situations or traumatic events, while long-term insomnia lasts for more than a month and can be caused by chronic pain, illness, depression, medications, other sleep disorders like sleep apnea, and alcoholism or substance abuse problems. Women are more prone to suffer from insomnia than men, which is thought to be related to the prevalence of depression and anxiety among women. Insomnia can cause sufferers to lose focus and become unable to concentrate or retain memory. Insomniacs tend to be at a higher risk of traffic accidents and car crashes which are caused by excessive drowsiness, and are often more emotional, suffering from mood swings caused by sleep deprivation. Treatment for insomnia varies, depending on the cause. Lifestyle changes like introducing healthy sleep habits and avoiding stimulants like caffeine and tobacco, cognitive behavior therapy and medications are just a few treatment options. There are many natural remedies for insomnia which can be effective and safe. Here are 10 natural remedies for insomnia. Cumin is an herb native to the Mediterranean and Indian regions. Biologically called Cuminum cyminum, it’s a member of the Apiaceae family, alongside parsley. The seeds of cumin are used in many different cuisines throughout the world, like Mexican, Asian and Middle Eastern. There are several types of cumin seeds, such as black and green, and they can be used whole or ground into powder. Medicinally, cumin has been used to treat fever, diarrhea, vomiting, and swelling, and can also be used as a galactogogue to boost breastmilk supply in lactating mothers. Cumin seeds can boost immunity, treat symptoms of asthma, bronchitis and other respiratory disorders. It’s also thought to have potential antidiabetic effects by reducing the risk of hypoglycaemia, which can prevent diabetes. Cumin is rich in iron, manganese, copper, calcium, magnesium and other essential minerals. It also contains powerful antioxidant properties and is a good source of dietary fiber, which is why it’s so effective at aiding digestion. Cumin seeds are a relaxant as well as a stimulant. The presence of B-complex vitamins like riboflavin, thiamin and niacin are believed to be able to support good sleep, because some B-vitamins are necessary in order for the release of specific neurotransmitters and hormones that can help regulate the circadian rhythm and sleeping patterns. To use cumin seeds as a remedy for insomnia, you can make your own cumin tea by mixing three cups of water with one teaspoon of cumin seeds, one teaspoon of raw honey, and the juice of half a lemon. Drink cumin tea thirty minutes before you plan on going to sleep. Alternatively, you can mash up one teaspoon of cumin powder with one banana and eat that before bed.